Liz's Paper Loft: MCT Whatever Wednesday ~ celebrate! Hello crafty friends! Today is Whatever Wednesday at My Creative Time and it's a perfect time to try different techniques. I'm not even sure what to call this technique, maybe dimensional die cutting. 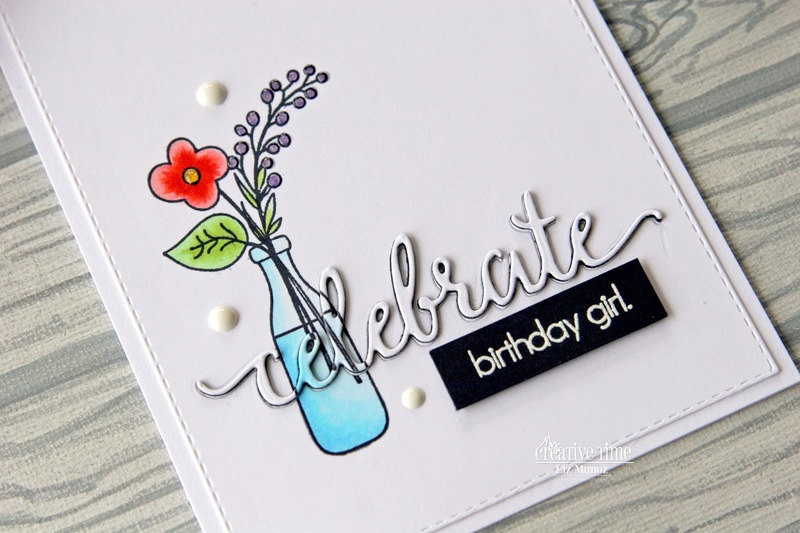 On the panel I stamped and copic colored the image, then (while holding my breath) I die cut the "celebrate". Next I cut 1 white and 2 black "celebrate". I inlaid the the white one into the panel and stacked the black ones on top. The color one was added to the top. Be sure you keep all the pieces from the colored one to add to the panel so it shows through. This is easier than I'm explaining. If I was to do this again I would of used black for the inlaid piece too. Your card is beautiful! Love the layered inlaid look you created. OMG Miss Liz WOW What a GORGEOUS Card!! I’m in awe of how you did your vase the look is Magnificent!! I know the feeling of having something look so beautiful and just the way you envisioned it then..........die cut time.......fingers crossed.......and run it thru and then a deep breath and then the reveal.....and oh it’s the best feeling ever when it is perfection just as envisioned!! You total look is Breathtaking!! 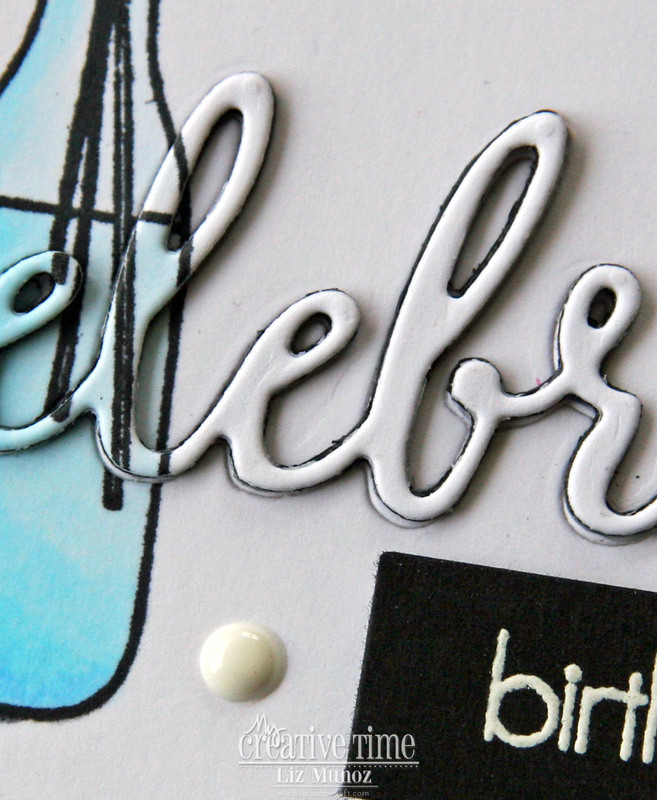 You totally outdid yourself and created one super incredibly Spectacular Card!! YOU so ROCK!! 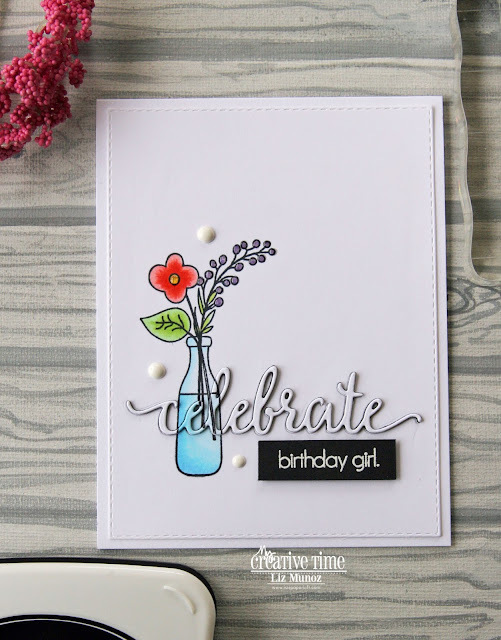 Your card turned out beautifully! Such a pretty birthday card! I like the dimension and enamel dots.